Glutathione (sometimes abbreviated as GSH)is a tripetide that functions as the body’s most important antioxidant. Because all other antioxidants depend upon the presence of glutathione to function properly, scientists call it the “Master Antioxidant”. Glutathione (pronounced ‘gloota-thigh-own’) is the body’s essential health ABC’s – Antioxidant, Blood Booster and Cell Detoxifer. As a tripeptide composed of glutamic, cysteine and glycine,this substance is found in all cells in the body, including the bile, the epithelial lining fluid of the lungs, and – at much smaller concentrations – in the blood. This small protein, produced naturally in the body, maintains these three crucial protective functions. In fact, your life depends on this amazing substance. Without it, your cells would disintegrate from unrestrained oxidation, your body would have little resistance to metabolic acids, and your liver would shrivel up from the eventual accumulation of acidic toxins. Each and every cell in the body is responsible for its own supply of GSH and must have the necessary raw materials in order to produce it. GSH is always in great demand and is rapidly consumed when we experience any sort of emotional or physical stress, fatigue and even moderate exercise. Hectic lifestyle and diet, air and water pollution, prescription and recreational drugs, ultraviolet light and radiation from mobile phones, computers, electrical cars, power lines, hair dryers, etc. Emotional and physical stress, injury, trauma or burns cigarette smoke, household chemicals, acetaminophen poisoning not to forget exhaust from motor vehicles. Elevated GSH levels enable the body to produce more white blood cells. White blood cells are the body’s garbage collectors and are the most important cells for maintaining sterility of the body fluids. Glutathione plays a central role in the proper function of the white blood cells. 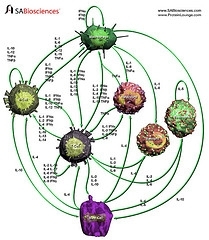 Dr. Bustavo Bounous, a leading glutathione expert, says, ‘The limiting factor in the proper activity of our lymphocytes (the white blood cells) is the availability of glutathione.’ In other words, healthy growth and activity of the white blood cells depends upon glutathione’s availability. Put simply, GSH is ‘food’ for the white blood cells. Studies show that low GSH levels lead to poor lymphatic and liver function, causing more and more acidic toxins to circulate through the body and resulting in damage to individual cells and organs. One of the obvious responses many people have to reading an article like this, is to start taking supplements which contain glutathione or indeed eat foods which are known to have a high level of antioxidants such as dark chocolate or red berries.However the problem with this is that the body’s digestive system tends to break down and destroy these glutathione supplements and or antioxidants before they have any chance of being fully absorbed into the body’s cells. So what is the solution? Well, you should consider taking a type of supplement known as a ” glutathione accelerator” – this type of supplement is not glutathione itself but contains a formula which allows every cell in the body to increase and speed up its own supply of GSH. Paul Mitchell is an independent consultant with a keen interest in health care and anti-ageing products. He is a distributor for one of the most effective brands of “glutathione accelerator” products,known as MaxGxl. Please go to his website to find out more and order the product.